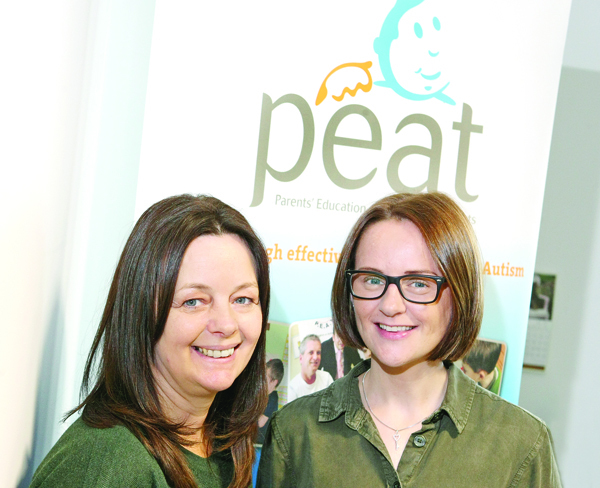 Belfast-based Parents’ Education as Autism Therapists (PEAT) is a parent-led charity that provides practical behaviour support to both parents of children with autism as well as professionals working with individuals who have autism. PEAT’s qualified behaviour analysts aim to empower parents with the knowledge of how to effectively understand and manage the behaviour of the individual at home with a diagnosis of autism spectrum disorder. The group’s aim is to help children and young people with autism realise their potential, while also offering tailored training packages in various topics to schools, nurseries and day centre staff. Dr Nichola Booth from PEAT has been working with individuals with autism spectrum disorder for many years. She has worked with young children, teens and adults in their homes, schools and other environments, as well as facilitating training for schools, health, education, early years and assisted living. The Andersonstown News met with Dr Booth at PEAT’s Springfield Road headquarters to find out more about what the organisation do. “We provide behaviour support in homes or schools for families with kids or young people with autism or suspected autism,” said Dr Booth. “All of our staff who go out and about are behaviour analysts. We aim to go into homes and give parents the tools to help their children with behavioural and life issues, for example toileting. Sometimes children with autism have issues with using the toilet. We have come across older children who would still be using nappies, this prevents them from doing many things children do such as going on sleepovers with their friends. We give them that independence. It’s their basic human right to be able to go to the toilet independently. “We assist with communication and speech issues and we also help with social skills. Challenging behaviour is one of our big issues. We would go into homes where parents maybe can’t leave the child on their own and we teach the parents to understand why the bad behaviour is happening. Mary Rainey, who also works at PEAT, says there are families who contact them when their child is in the process of receiving a diagnosis and they are wanting intervention in place while the child is very young. “It can be easier to change the behaviour patterns of a younger child than it would be of a teenager,” she says. She added: “Autism is lifelong and it’s about giving people and their families the skills for the future. It’s a spectrum. You have children who are more severe than others but we aim to teach them all those self-care skills to give them their independence, be it washing, dressing or helping with chores. “Many of our families have heard of us through the grapevine or have seen us active on social media. We are non-funded, therefore we rely on families paying for our service. It’s not ideal but it’s what keeps us going.